The club has been in existence for over 50 years and was initially based in Takapuna, flying out of the Barrys Point. Since then, we have been lucky to have the use of a part of Holdaway's farm in Green Road, Dairy Flat. This land is now owned by the Council and leased to a farmer. Although we don’t enjoy a secure tenure, we are nevertheless recognized as long-established park users and have an excellent relationship with both the farmer and the Council. The flying field sits in an extremely attractive rural environment offering a flying venue second to none - in our completely partial view. But, more than that, the Club is proud of its relaxed, laid back and friendly approach to Club life. We enjoy each other’s company, help each other and, of course, we all love planes, modeling and flying. Although our grass runway can occasionally be walked over by large hairy animals, it is maintained to a high standard suitable for all types and sizes of models. The runway is approximately 110m long. Flying is mainly on Saturdays and Sundays from 10 am and Wednesday evening Club meets will be held over the Summer months. Fixed wing flying is mainly Sunday, but heli and fixed wing flying is carried out in separate parts of the field. Therefore, both can operate safely alongside one another throughout the weekend. 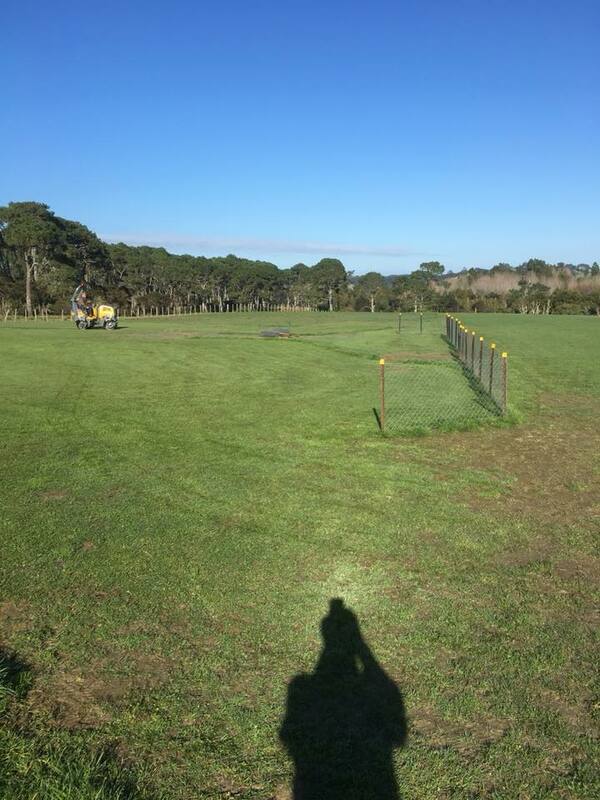 Club members can use the field 7 days a week during daylight as long as they observe NZMAA and CAA rules. In particular, because we are less than 4 km from the Dairy Flat airfield, pilots are expected to have an observer and to fly under 400 feet. The Club has an excellent safety record. 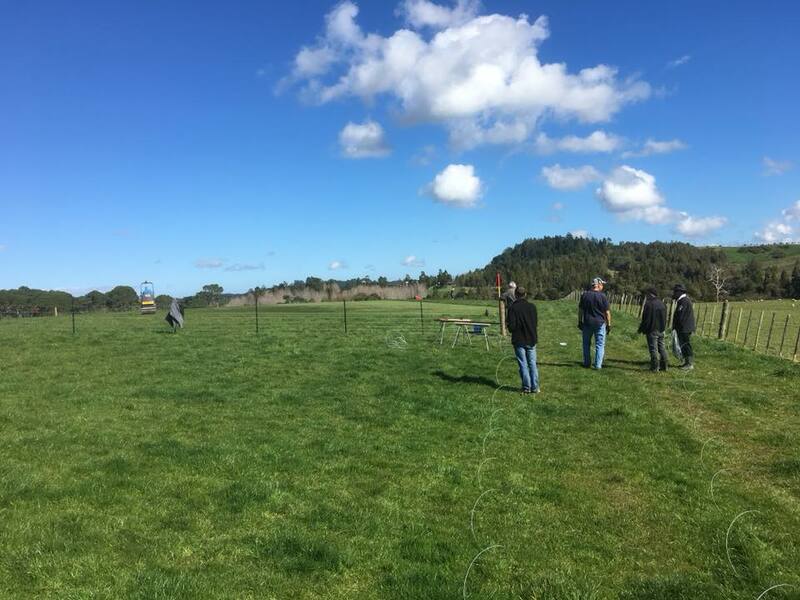 The club is very proactive in limiting noise pollution and follows very strict model flying new Zealand guide lines, we have established no fly area's that limit the amount of noise to surrounding neighbor's. We have an all-weather driveway that allows us to operate through the Winter months, barring prolonged wet weather when ground conditions can become unpleasant enough to deter all except the hardiest. We have constructed a Winter parking area adjacent to the flying field. If you are planning on visiting, you are welcome to stop by. We even have a toilet for your convenience. In addition, we have a tiny clubhouse – well let’s be honest – an aging shed, for our gear and limited shelter. We also sport a container that houses equipment including our own sit-on mower. There are picnic tables in the pit area to enable round table chats. Members are each issued with a key to access the main gate on Green Road. The club has a growing membership, currently in excess of 100 and of all ages. New fliers are always welcome and we offer free training using the Club’s buddy boxes. We fly mostly RC (remote control) - sports, pattern, scale, gliders, helicopters and (becoming quite popular) quadcopters. A typical nice summer’s Club day would see at least 20+ cars at the field. Catering for Fixed Wing, Helicopter and Multi Rotor, all on individual flight Zones. 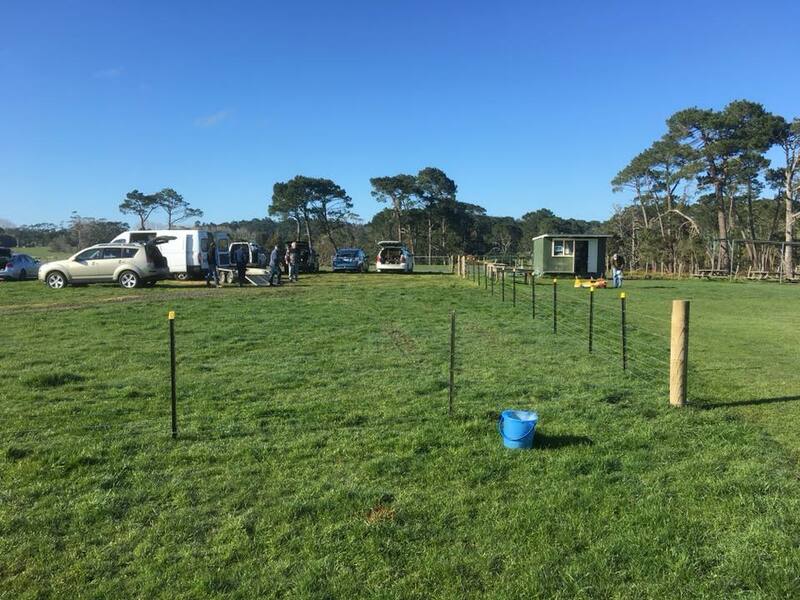 The weekend of the 11th & 12th August saw the flying strip and pits area protected through the installation of the stock proof fence. This enables us to meet the obligations of our community license agreement with the local council, and ensure we have the best facility available for our members. 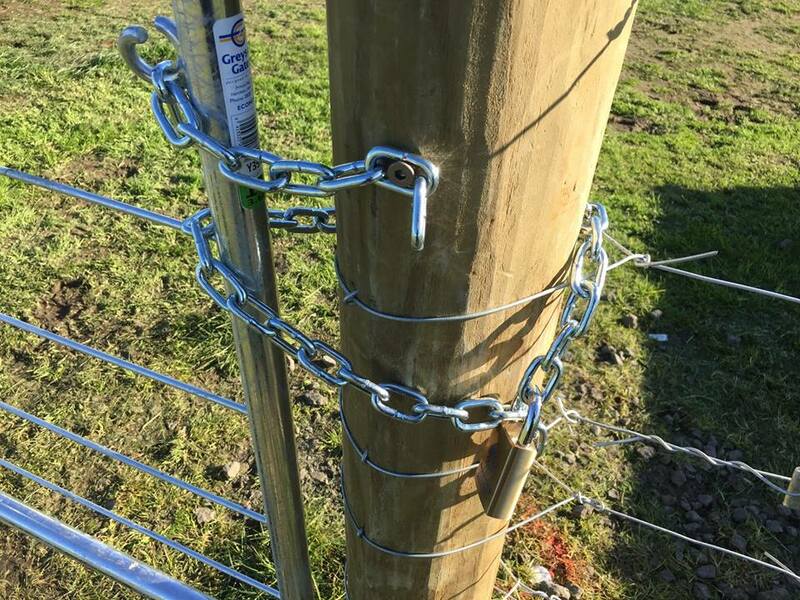 It's great that this was in collaboration with the Farmer where he is able to continue using all the paddocks without the risk of stock damaging our flying strip and pits area. ​There was a good turnout from our members to dedicate their time on both days and get the fence and new gate erected. This included some hefty post and waratah bashing and laying out of the good olde No.8 wire (at one point a lot of detangling of that wire as well). The area was also rolled and grass cut so now our field is looking as good as new (bar a few bare grass patches). ​There is a gate to the new fenced area with a padlock keyed to the main club access lock. The same key that opens the main gate also unlocks the inner gate. ONLY club members have a key for both these locks so if sheep etc get onto the pits and strip its one of us that has left the gate unlocked. ​There is no parking in front of the gate as it's the only entrance to the pits. All vehicles MUST remain outside the pits area and not be driven through the gate. 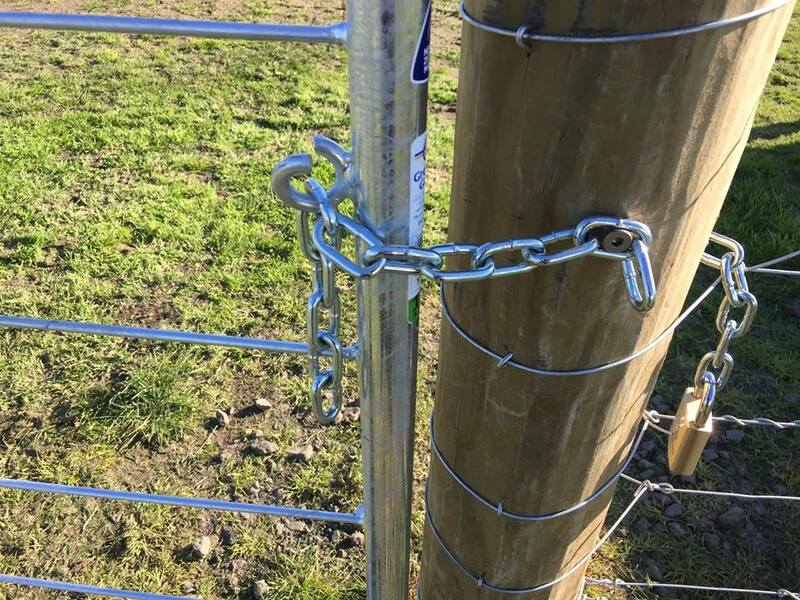 ​Please ensure when you leave that you close ALL gates along the drive and both the Pits gate and the main Road Gates are locked as normal. If you're the last to leave its your responsibility to ensure both these gates are locked! ​Well done and many thanks to all those who came and helped. Happy flying.